Love the logo set! As for the jerseys, they are an improvement but i think these are a bit too simple and generic. This is the way the team should look: timeless and classy! In a weird way the away jersey reminds me of the old home white Nordiques jersey, so good callback. I think their logo works better on a non-traditional template. I think the look you are going for could be better achieved with a new logo. That white ring was very important to the jersey's design. It's a bit hard to see the logo on the burgundy jersey without it. 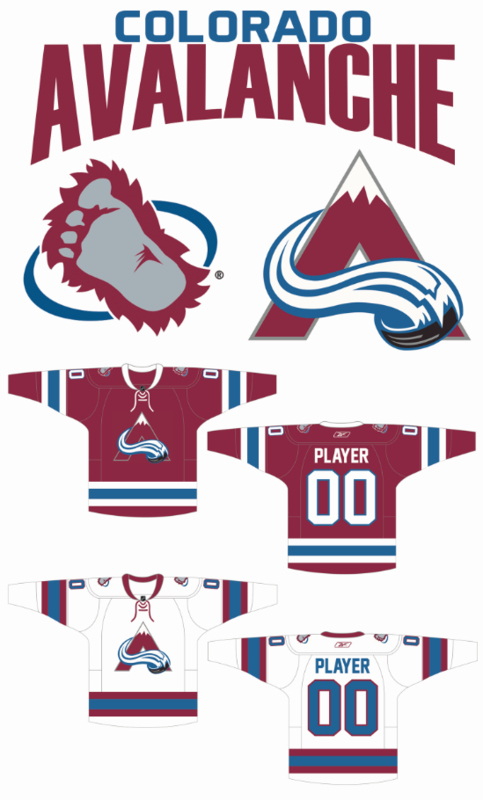 If you insist on getting rid of that ring I'd consider recoloring the logo on the burgundy jersey from burgundy to silver.